The very first expensive and pigmented eyeshadow I bought was one of MAC. When I got into make up, MAC was tha Bomb. I think that was about ten years ago. I only use eyeshadow on occasions and lately I have been started to use a bit eyeshadow on daily basis. Since I was about fourteen I did my eye make up pretty much the same: black eyeliner on my lower and upper lash line and a bit of mascara. A few years later I started to draw my eyebrows. Anyway, my thoughts are wandering off again. We were talking about MAC eyeshadows! So I first got a purple color (I still have it somewhere). The girl at the MAC counter helped me pick a color. When I had it for a few days I realized I'm not really a person for crazy color, so I kind of regret buying it, but the way she applied it on my eyes, it looked pretty cool. I also realized I like brown shades and warm palettes are totally my thing. So I decided not to buy any crazy colors anymore, because it kind of is a waste of money for me. 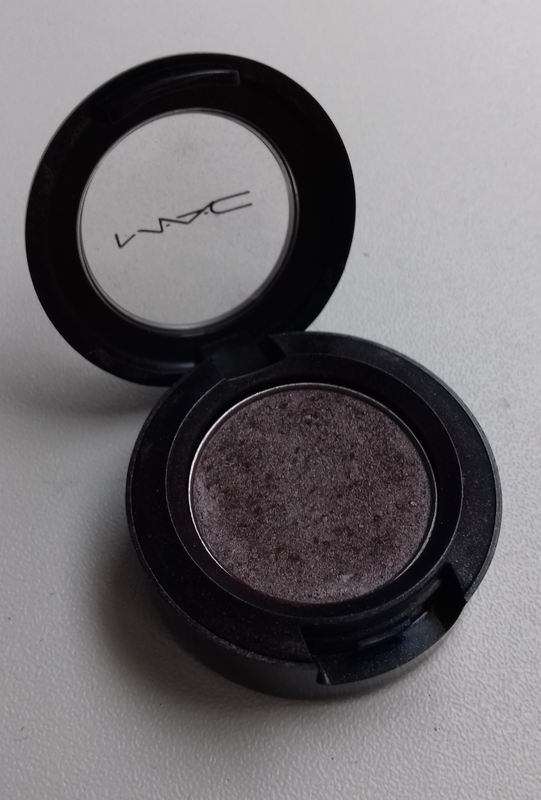 I have rediscovered a MAC eyeshadow shade and I have been using it almost daily lately and I want to share my love for this shade with you! I bought Satin Taupe during a school trip in Rotterdam. During the evenings we had free time and a friend and me went shopping. We both were into beauty and were looking around at a MAC counter. 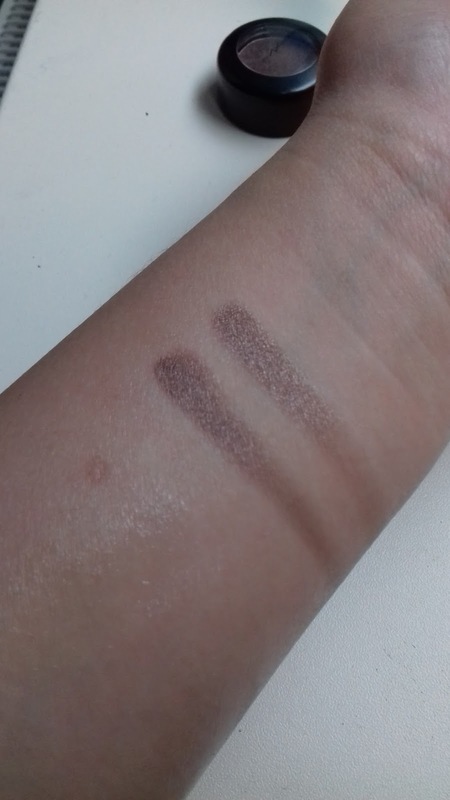 My friend bought a bronzer and I bought the lovely Satin Taupe. I haven't been using it for a while and a few weeks back I rediscovered the color when I was looking at my make up stash. I have been told (on YouTube) that to make your eyes look bigger, you should use a soft, slightly dark shade under your eyes instead of a black line. The black line will close your eyes and make them appear smaller and that is actually not what I want to achieve with my make up (but have been doing it for years.....)! 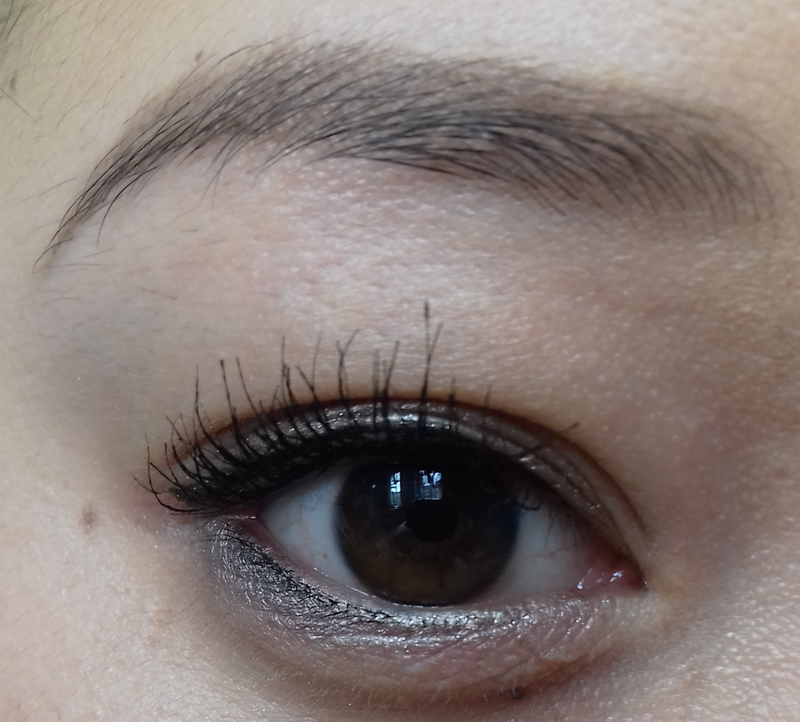 So I decided to change my (simple) daily look with a eyeliner pencil by Bourjois. It is a taupe, frosty color, but still a bit too light for my liking. And when I went through my make up stash, I saw Satin Taupe just being there and thought: Why not using that to color my lower lash line?? I lined my lower lash line with the taupe liner and run Satin Taupe over the outer third of my lower lash line and I love how it looked. I don't understand why I haven't done this sooner. It's a lovely color and you can make such beautiful looks with this color. The pigmentation of this eyeshadow is good, it blends lovely and I think this color suits everyone and is suitable for daily use. Ugh, just look at that. Isn't it a lovely color?! Do you have Satin Taupe in your stash? And how do you use it? Let me know!